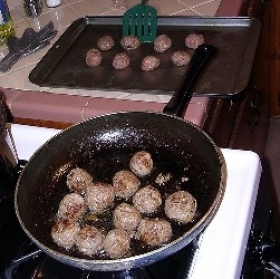 Have you made Basic Oven Meatballs? 1. 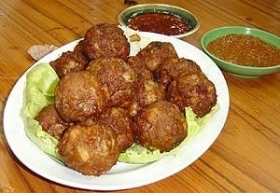 In large mixing bowl,combine beaten eggs,milk,bread crumbs, chopped onion and salt;add meat and mix well. 2. 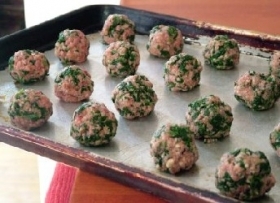 Shape into 6 dozen 1" balls.Place half the meatballs in 15 1/2 x 10 1/2 x 2 1/4" baking pan. 3. Bake @ 375 degrees 25 to 30 minutes.Remove from pan; cool. 4. 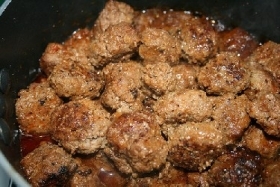 Repeat with remaining meatballs. 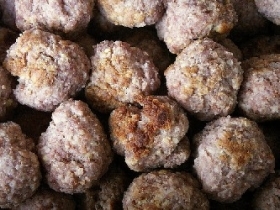 Place cooled meatballs on cookie sheet;freeze firm. 5. 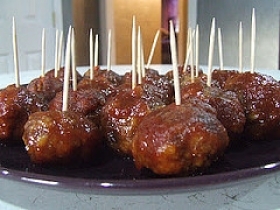 Using 24 meatballs per package,wrap meatballs in moisture vapor proof material. 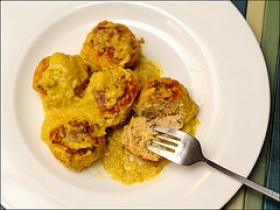 This recipe contains potential food allergens and will effect people with Egg, Milk, Beef, Onion allergies.